Jean M. Greenway, 91, formerly of Wilson died Tuesday, November 27, 2018, at the American Lutheran Home in Menomonie. Jean was born June 18, 1927, in Hersey, Wis., to Daniel H. and Alice (Herd) Davis. In her youth, she continued to live in the Wilson area where her parents owned and operated a dairy farm. She attended elementary school at Summit School, graduated from Spring Valley High School, and the Radio Electronic Television Institute in Minneapolis, Minn. She worked for Western Union in Chicago on the telegraph lines for a time before her marriage to Lloyd E. Greenway on January 17, 1946, in Hammond, Wis. They were married for 72 years before Lloyd’s death on January 22, 2018. They resided near Wilson until 1960, at which time they moved to Tillamook, Ore. Returning to Wisconsin in 1965, she worked as the Office Manager/Bookkeeper/and Certified Waste Treatment Operator at the family business, Summit Cheese Factory. Following retirement in 1987, she and Lloyd served in the Peace Corps in Lesotho, southern Africa, from 1988 until 1990. She also served as a correspondent to local newspapers at this time. She later served in the International Executive Corps in Egypt, and accompanied Lloyd while he served in Latvia. 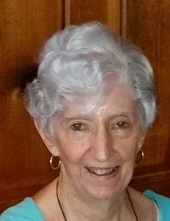 Jean was active in her church, St. Bridget’s Catholic Church, serving as treasurer, council president, and Sunday School Teacher, was a Cub Scout den mother, served on the Summit School Board, was involved with the St. Croix County Home Makers, and was a volunteer for the American Red Cross. She enjoyed reading, puzzles, gardening, and travel throughout the world. Jean is preceded in death by her husband, parents, and siblings, Lorraine Johnson, Florence Larson, and Daniel C. Davis. Jean is survived by her two sons, Michael (Billie) Greenway of Nehalem, Ore., and Timothy (Rebecca) Greenway of Reedsburg; three grandchildren, Sarah (Duffy) Hazelhurst, Kari (Matt) Murray and Danielle Smith; four great-grandchildren, Logan and Cody Hazelhurst, Aidan Murray, and Savannah Smith; and sister-in-law, Corinne Stockman. She is further survived by nieces, nephews, other relatives and friends. The family wishes to thank the staff at the American Lutheran Home for their compassionate and loving care. A memorial service will be held at 11 a.m. Saturday, December 15, at St. Bridget’s Catholic Church in Wilson, with Father John Long as celebrant. Interment of cremains will be in the church cemetery directly after the service. Friends may call from 4 to 7 p.m. Friday, December 14, at the Anderson Funeral Home in Glenwood City and one hour prior to the service Saturday at the church. In lieu of flowers, memorials preferred to St. Bridget’s Church, Catholic Relief Services, or the American Red Cross. To send flowers or a remembrance gift to the family of Jean M. Greenway, please visit our Tribute Store. "Email Address" would like to share the life celebration of Jean M. Greenway. Click on the "link" to go to share a favorite memory or leave a condolence message for the family.